Nobody’s life is a bed of roses all the time. Sometimes you step on some rather prickly thorns and other times you might even question your ability to go on another day in the same old way… Seeking professional help can be intimidating and uncomfortable…yet it doesn’t have to be that way. According to statistics from the Substance Abuse and Mental Health Services Administration, of those experiencing moderate to severe impairment, only about half seek professional help. This is a rather surprising fact considering that in any given year, one in five American adults suffer from some form of diagnosable mental illness. You are not alone; the Mental Health Foundation states that 450 million individuals worldwide have a mental health problem. Undeniably, the negative stigma attached to severe mental illness is heavier than those attached to other physical disabilities making recovery more challenging. 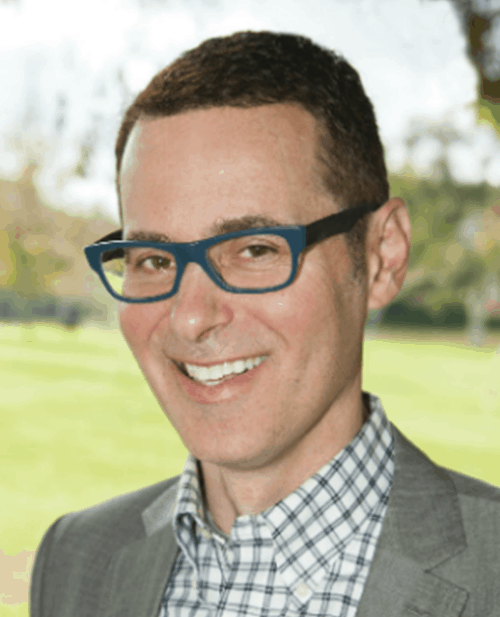 As a clinical psychologist in private practice in Beverly Hills and Laguna Beach, Dr. Gilbert Chalepas, also works with individuals dealing with schizophrenia and bipolar, depressive as well as other psychotic spectrum disorders, including severe anxiety. During his career as a clinical psychologist, Dr. Chalepas has counseled countless patients in state mental health facilities which has helped him substantially increase his skill level, understanding as well as his compassion and empathy for the mentally ill.
No one working in the psychotherapy and psychiatry fields can deny the importance of properly identifying and effectively managing mental illness. Cognitive-Behavioral Therapy (CBT) is an invaluable tool for those experiencing couples relationship as well as career related challenges and the inevitable life-transitions all human beings experience throughout their lives. No one would opt to suffer needlessly, however by not getting competent professional help when necessary, psychologist, Dr. Chalepas strongly believes that one might very well be unwittingly exasperating their condition and needlessly prolonging their suffering. Would you wait until the entire house is burned to the ground before calling the fire department? Of course not! So why wait to get help when you can deal with what is causing emotional pain much earlier and minimize your suffering? You deserve to get the help you need and make your life more peaceful, balanced and truly something you can feel good about. Let’s get one thing straight, you don’t have to be crazy, weak or incompetent to need professional help from los angeles therapists, psychologists or social workers. Nor does it have to take years and cost you a fortune. You’re only there because you chose to, and only for as long as you feel it’s of benefit to you. As an intelligent, self-aware individual, you are choosing to make the most of yourself through effective guidance, support and accountability. That’s all. All successful sports figures and highly paid executives have had coaches and mentors. Why not you? Cognitive-Behavioral Therapy (CBT) can help you realize amazing changes towards your goals when you work at it. Most people stay in psychotherapy for 12 to 24 sessions on average, depending on what they are dealing with. In order to make the process of psychotherapy more transparent and inviting, Dr Chalepas offers a free*, confidential, initial session in his offices in Beverly Hills, Laguna Beach or via Skype. That way his clients can clearly see and understand, first hand, how he works and decide for themselves if this process could be of help to them. The majority of his clients find the initial psychotherapy session very valuable and decide to move forward. The most important aspect of psychotherapy is the ability to feel that there is a connection between you and your therapist. In other words, a strong therapeutic alliance where you feel heard and understood, expertly guided not judged by your therapist or psychologist, is essential to the outcome of your therapy. 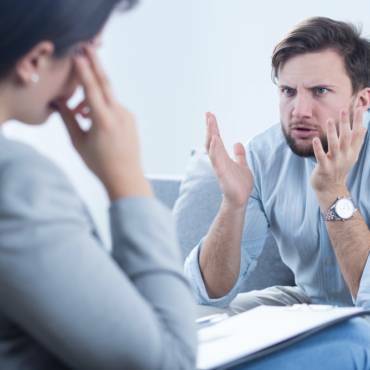 While there is an unjustified stigma related to severe mental illness, what mostly comes into Dr. Chalepas’ Beverly Hills and Laguna Beach psychotherapy offices is couples relationship issues, excessive stress, self-esteem and boundaries challenges as well as the significant life-transitions that everyone goes through. It’s all part of life. Psychotherapy can offer you a safe outlet to discuss internal conflicts while serving as a mirror that reflects back to you what may need some attention. Psychotherapy helps you make your life easier by increasing your understanding, self-awareness and finding more effective ways to deal of day to day stressors. So let’s get down to business; when would you call to schedule a psychotherapy appointment? That depends on your ability to appropriately manage excess stress and effectively self-soothe as well as your connection to a strong support system. If you are feeling overwhelmed despite your best efforts to keep your head above water and are unable to function in a normal and productive way, don’t hesitate! That’s the time to grab your phone and call a therapist, social worker or psychologist. Dr. Chalepas would gladly speak with you in his Beverly Hills or Laguna Beach offices during your free, initial session to give you a concrete map on what you would need to work on together in therapy. 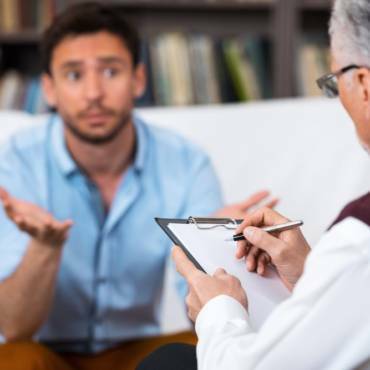 For some hints as to whether you may need to engage in psychotherapy, please read Dr. Chalepas’ article by clicking the following link: Should I Be in Therapy?